OneNote 2013 has a whole slew of tags available for you to use — indeed, it has by far the most tags of any other version of the app. But the software has one killer feature that you might not immediately think of: You can customize existing tags or even create your own tags. 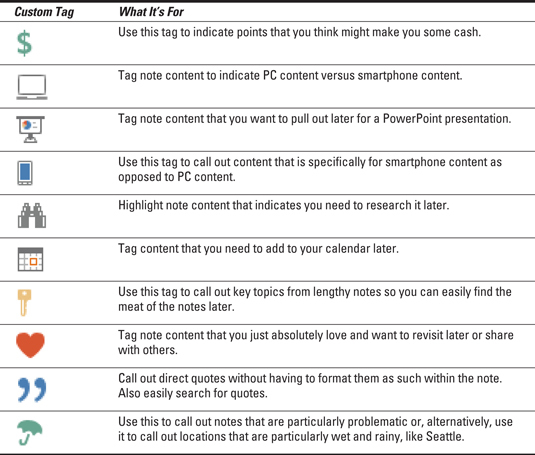 With a little imagination, you can make tags that the makers of OneNote themselves may never have thought of, such as those you see in this table.